Maxine Waters is a far left Democratic member of the U.S. House of Representatives, representing the 35th district of California. In the news recently over allegations of corruption, Maxine Waters, if the media was doing its job, should be equally well known for her socialist connections. Waters has consistently attempted to present herself as a mainstream politician. However the facts tell a different story. In May 1992 Waters put her name to a supplement in the Communist Party's newspaper, the People's Weekly World which called for readers to "support our continuing struggle for justice and dignity." Virtually all other signatories were known Communist Party members or supporters. In October, later that year, she was the keynote speaker at a Coalition of Black Trade Unionists meeting in St Louis Missouri. The Coalition began as a Communist Party front. In June 1996, the Communist Party's People's Weekly World held a tribute event for Southern California labor unionists Jerry Acosta and Gil Cedillo. Presentations to the honorees were made on behalf of Maxine Waters and (now U.S. Secretary of labor), Hilda Solis, by their staffers who were present at the event. In 1997 Waters put her name to a "Jobs Bill" which had been originally introduced to Congress at the request of over 50 prominent labor leaders - many of whom were known members or supporters of the Communist Party. Waters has been a member of the Democratic Socialists of America - linked Congressional Progressive Caucus from as early as 1998 up til the present. Her mid 1990s press secretary and speech-writer, Patrick Lacefield was a former National Director of the D.S.A. 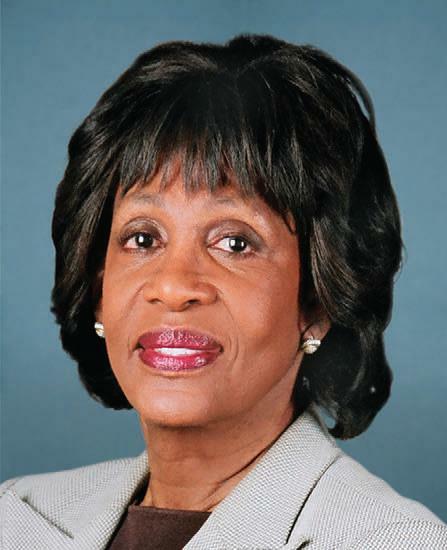 Waters also serves on the Advisory Board for Progressive Democrats of America, an activist network within the Democratic Party, which is led by several D.S.A. connected activists, including National Director Tim Carpenter. In May 2008, Waters made an embarassing tongue-slip during her televised questioning of a Shell Oil Executive. She queried, "...And guess what this liberal will be all about? This liberal will be all about socializing, uh, umm - will be about, basically. taking over, and the Government running all of your companies." The video of this incident can be viewed here. If Maxine Waters is found guilty of ethics violations, it will one more example of the corruption/socialism connection, now so common in the U.S. Congress. We should vote them all out and do away with progressives entirely, including the president. Is THAT the Best You Can do Obama? "Never Gonna Stand For This"